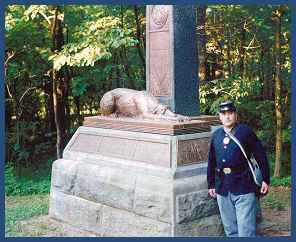 to have the memorial created. 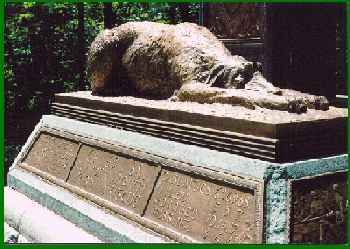 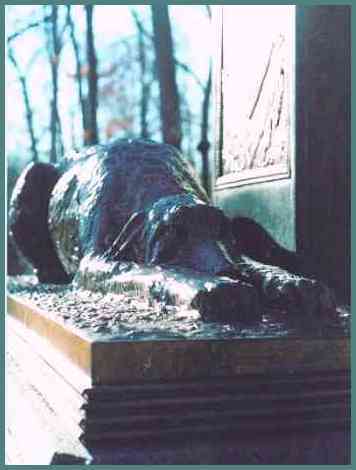 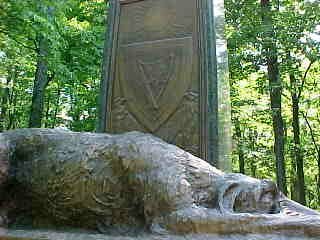 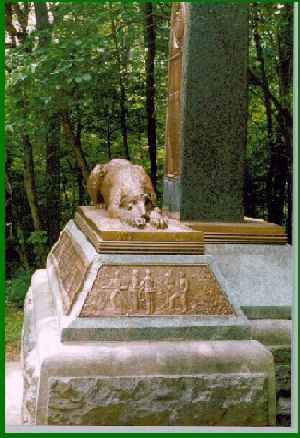 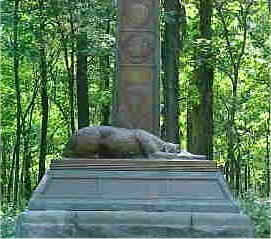 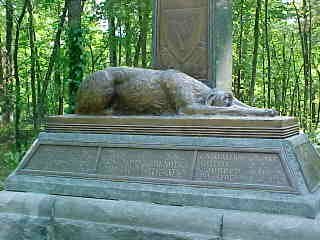 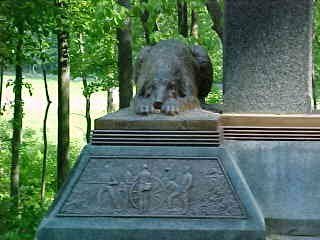 The artist, O'Donovan, created a bronze and granite base supporting a carved Celtic cross with a life-sized Irish wolfhound lying at the base mourning its lost masters. 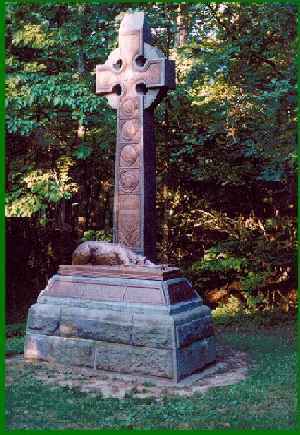 The cross bears the trefoil corps badge of the Second Corps, in which the brigade served, as well as four medallions containing the numeric designations of the three NY regiments, and the seal of the State of New York. 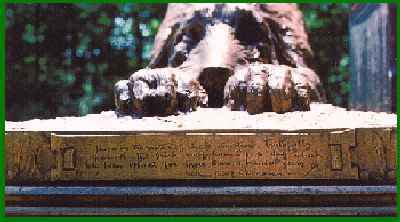 Beneath the medallions there is an additional bronze panel depicting numerous symbols of Ireland. 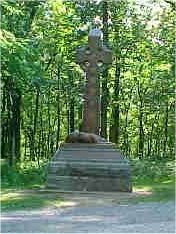 Bronze plaques at the base of the cross provide brief histories of the regiments.